Just like you, children in Germany have to go to school every day. One big difference, however, is the time they have to be at school. German school children have to be at their desks between 7:30-8.15am (depending on which part of Germany they live in). There are usually five or six lessons each day. School subjects are pretty similar to those you might have (Maths, Science, Music, Art, P.E etc). There is normally a five to ten minute break between each lesson, with two big breaks that last for 20 minutes so that there is a chance to go and play outside in the playground. There aren't normally lessons after lunch in German schools - imagine that! In fact, in the past, many schools did not offer lunch at all, but nowadays, there are usually afternoon clubs, homework workshops and activities to keep pupils occupied until their parents get home from work. 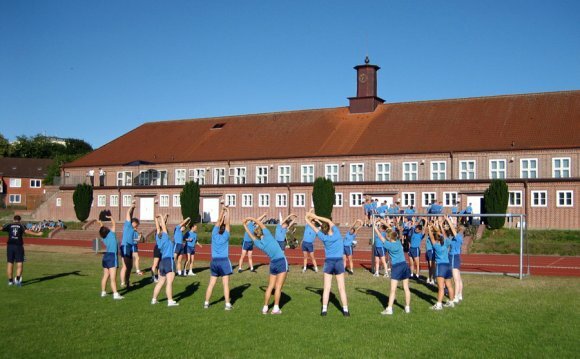 German school children get 15 weeks of holiday each year. The school holidays are quite similar to those in the UK and, of course, the long six week summer holiday is always the one that everyone looks forward to the most! Bebenhausen Abbey was a Cistercian monastery located in the village of Bebenhausen (now a district of Tübingen), in Baden-Württemberg, Germany. It was built by Rudolph I, Count Palatine of Tübingen, probably in 1183.